Interesting Post in the Deseret News National about Faith in Science Fiction movies we thought might be food for thought here. 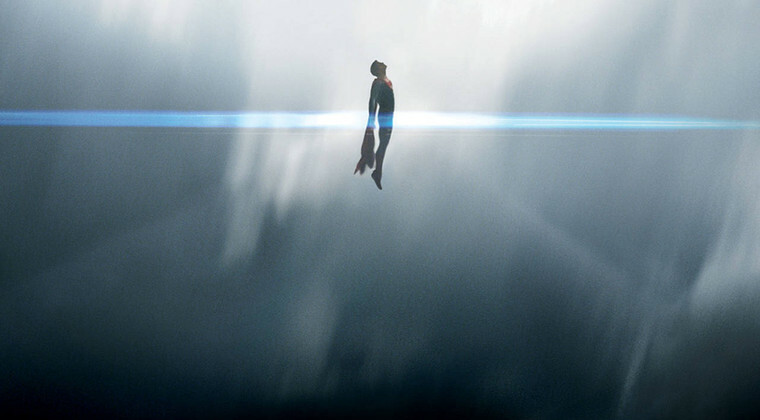 In “Man of Steel,” the most recent Superman film, when Superman’s parents send their son away from their dying planet to save his life, his mom worries he will not be accepted on Earth because he is an alien to the planet. “He will be an outcast. They’ll kill him,” his mother says. “How? He’ll be a god to them,” says his father, Jor-El, who believes Superman will be an ideal Earth’s inhabitants will strive to reach. Some might see Christian symbolism in this scene, but it’s not the only religious reference in the film. “Man of Steel,” which some call a “soft” science-fiction film (along with other superhero movies), is replete with religious allusions. And superhero films do not have a monopoly on religious metaphors. In fact, religious and spiritual themes are woven into the plots of many popular science fiction films, TV shows and novels. “We have so many TV shows and movies where you see the same type of archetypal characters, plots and problems that you would see in religion (and) in religious texts,” says Barna Donovan, who teaches classes about the relationship between science fiction and religion at St. Peter’s University in Jersey City, N.J. The strong ties between science fiction and religion may seem odd; after all, some religious fundamentalists and a number of atheists constantly pit science and religion against each other. But Dr. James McGrath, who teaches in the Religion and Philosophy Department at Butler University in Indianapolis, Ind., says a convergence between the two is natural. “Humans have wondered about our place in the universe even before we had modern science to help provide some answers about the physical form and nature of that universe. 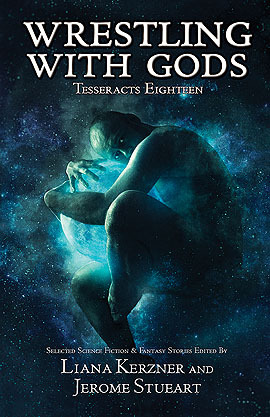 We’ve envisaged our cosmos as full of powerful beings who come from the sky, and select human beings as having rare opportunities to travel up there,” says McGrath, adding that science-fiction authors today can explore questions that religions throughout history have attempted to answer. Arthur Doweyko, a scientist and award-winning author of sci-fi short stories, agrees that science fiction allows authors to explore humanity’s pressing questions about existence. The article goes on to ask questions about why authors use religious metaphor and why we like it. One of the most interesting concepts is something I think that makes fiction much more powerful than nonfiction. Take a read of the article and let us know if you agree with the author—why do YOU think so many religious allusions find their way into science fiction stories, especially popular movies? The author, Kandra Polatis, comes up with some interesting ideas, and so do those she interviews, for why we want to read about faith, or why religious themes seem to find their ways into our favorite stories. Religious concepts are commonly portrayed figuratively in science fiction, explained Doweyko. He said religious ideologies in the long-running series “Star Trek” coincided with an earthly belief system. The “conflict” between science fiction and religion is easily resolved if one accepts the fact that “religion” was inspired by and created out of the same mental/psychological archetypes that fiction comes from. Modern religions feature the same “heroes” as ancient religions did – myth, ur tales, etc with different names and slightly different detail, but they all boil down to the same archetypes that answer human psychological needs, which are themselves largely inspired by our biology and evolutionary history. 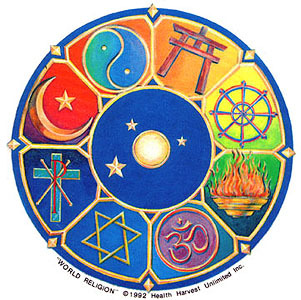 There’s only conflict when one seeks to insist that A particular religions’ story is unique and special, that an Abraham, Christ, Mohammed, Vishnu, etc are “real” and not part of the human pantheon of myth. Why do these icons and archetypes keep on appearing in our fiction? Because they’ve been appearing in our fiction since the beginning of time; because all fiction speaks to the narrative that is inside out heads and all of our heads are largely the same. I think science fiction or speculative fiction allow us to explore the hows and the whys of the universe as questions — first in the mind of the author and then in the mind of the readers. Sometimes there are answers in the stories, and sometimes not. But I think whatever the reality of the story, the “meaning” is something the readers create, and that can be hugely satisfying as a reader. I think of some sci-fi stories that undercut our assumptions — say, that humans are intrinsically superior, and the way that assumption proves disastrous in Day of the Triffids — and how that may not prompt us to believe in, say, triffids, but to question whether we are indeed superior to other organisms and to question whether we’re meant to be. At the time that was written, the assumption humans were and deserved to be masters of the Earth was much less questioned than it is today.